Opportunities with high margins and low delivery costs are obviously attractive to any business looking to boost their revenues. But what if there was a way to get such an opportunity from your cloud applications? 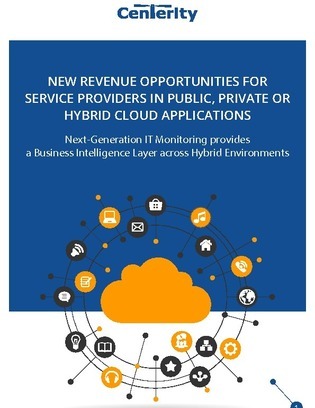 In this two-for-one white paper, learn more about how to capitalize on new revenue opportunities using advanced cloud monitoring tools, plus discover five lessons from some of the leading cloud providers on how to strategize your IT infrastructure.